The Great British Sunday Roast Lunch is a fine traditional institution, piping hot with all the trimmings there are few better ways to feed a starving family with fine British fare that is nutritious, wholesome and very tasty. In our high streets there are many excellent purveyors of local produce with everything from low carbon miles vegetables and fruit to beef, pork, lamb etc from which to choose, and the customer service is almost always outstanding. Traditional Butchers are experts in all matter’s meat. Ask a butcher about what cut is best for a particular purpose, grilling, roasting, casserole dishes and the best local butchers will explain in detail and advise on how much is needed for a particular meal - hungry teenagers included –and will match your needs to your budget. Those of us who don’t ‘buy big’due to a slim budget are also welcomed and catered for by real people who care about their business, their customers, and their reputation. Reputation is what National Butcher Week is all about, increaing the general awareness of people about their local quality's shops that rely on customer loyalty. Events within the industry include the prestigiousButchers Shop of the Year, now in it’s 24th year this award has gained a solid reputation for recognising excellence, innovation, and raising standards that benefit the customer, check out your local butcher and ask if they have gained this accolade? The event takes place in November, so 2018’s winner and entrants will doubtless be making much of their recent success. Champion of Champions is the Country’s premier sausage making competition and recognisesthe staple diet of many people the humble sausage and its importance to the National diet.However, due to innovations over the past 30 years we now have a vast array of sausages containing a lot of very flavoursome fillings to the delight of all fans of our Great British banger. For the freshest food and the best service local is best, dealing with people who make their living supplying the very best because their reputation is their hallmark makes excellent sense. In particular local food has not travelled half way around the world to get herei.e.strawberries from Peru, South America, runner beans from Senegal, Africa, chicken from Thailand, Asia, et al.Food grown in Somerset and elsewhere in the UK is proudly the best that is available. National Butchers Week 2019 aims to support this vital supply route by increasing demand and helping people grow more confident about the meat and supporting produce from people who are experts and who care about supplying the finest produce in the safest and most beneficial way. 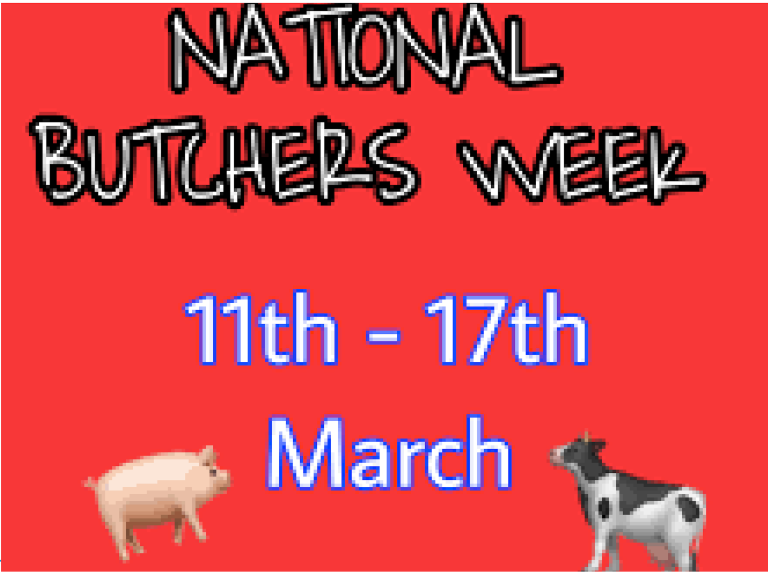 The Best of Taunton and Bridgwater support NationalButchers Week and recommend that local people watch out for promotional offers and events that will be on our high streets later in March.